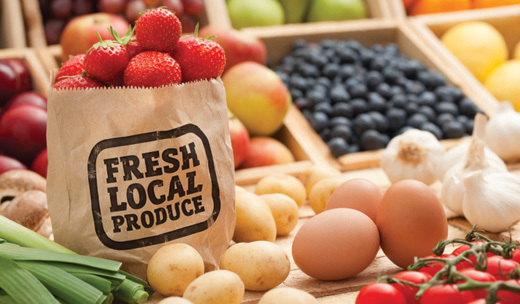 Spring Produce Delivery and Special Offers! Local produce delivery comes next Friday, April 21st, and we are featuring one of our favorites – Goat Cheese Chevre from Mama Terra Micro Creamery. We’re coupling the chevre with red beets, which make for some delicious recipe ideas. 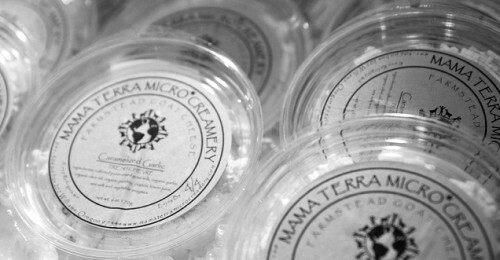 Mama Terra’s goat cheeses come in 4 flavors: Caramelized Garlic, Mediterranean Lavender, Plain Sea Salt and Honey Bee Pollen. This final delivery in April will also include Spring onions, asparagus, bunched carrots and lots of additional yummy fresh produce. We’ll be celebrating our first weekly delivery of the year on May 5th, Cinco De Mayo, with fresh corn tortillas in our Standard Share from Jennifer Greene at Windborne Farm! We have two special promotions that you can take advantage of by signing up before our delivery next Friday, April 21st. First of all, we’re offering the “Valley View Medley,” to any of our new customers who purchase $278 worth of our Standard Shares or make a minimum deposit of $345 into an Individual Account for custom ordering. The medley is over $30 worth of products from the certified organic Valley View Orchard in Ashland, including cold-pressed and pasteurized apple juice, pear juice, sliced peaches, pears, and a nice big jar of pear sauce. when they join. There’s no limit to how much credit you can earn! If you haven’t heard, we’ve expanded our produce delivery service as far north as Grants Pass, and we’re including communities along highway 238, including Ruch, Murphy and Applegate! Our deliveries come right to your door each week – it’s the easiest way to support local farms and small businesses, and to enjoy the best of what’s fresh and local. Visit our website to sign-up, or give us a call at 541-301-3426.